Milk and Liquid Dairy products with or without particulates, thick or thin. Milk and Dairy -based products continue to be an essential element of daily life in homes all over the world and in all cultures, and the trend is upwards. Whether eaten in their original state (fresh, pasteurised, sterilised) or processed (flavoured, fermented, yoghurt, butter, cream, cheese, evaporated,…), dairy products maintain a reputation of purity. Consumers expect high levels of food safety and quality. With many years of dairy filling experience, we offer filling and capping solutions for all your dairy products and containers to suit the specific demands of the market. Our technological solutions are based on filling hygiene and efficient operations, ensuring reliable dairy filling and long-term production quality. Our Hygienic, Clean or Ultra-Clean filling and capping configurations meet the demands of the short or extended shelf life dairy sector. We cover thick or liquid, particulated or non-particulated dairy products, for both chilled or room-temperature distribution. Our filling and capping systems can be stand-alone or synchronised with rinsing carousels or alternatively, integrated in complete dairy filling lines. 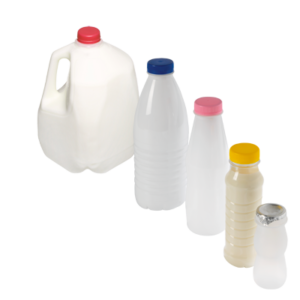 For all your dairy products and containers (PET, HDPE, glass or metal), you can count on us to be your partner to success. Learn more about our dairy machines & equipment solutions!